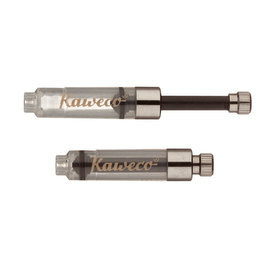 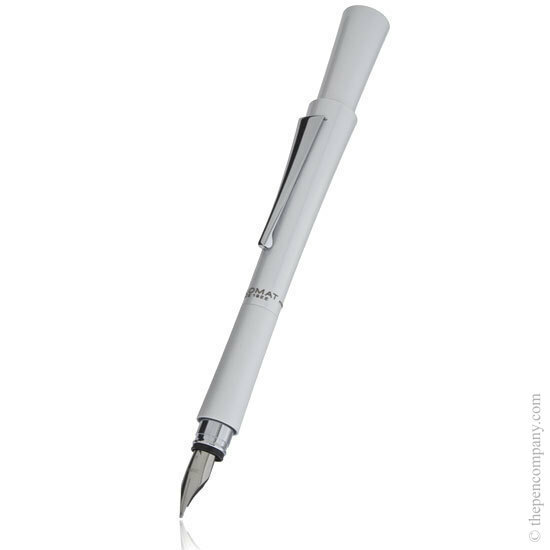 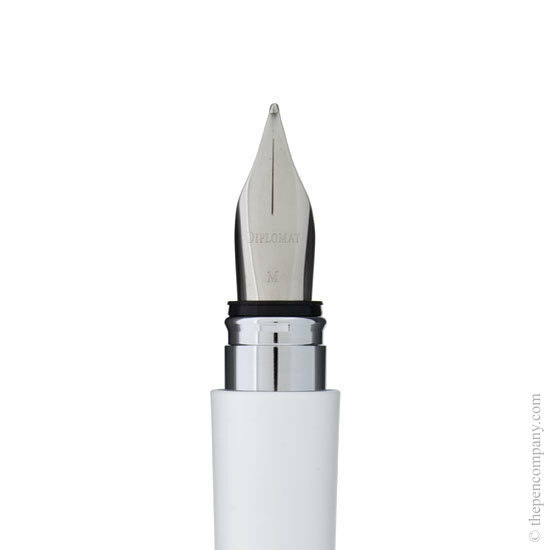 The fountain pen is available with either a medium or broad nib and accepts standard cartridges. 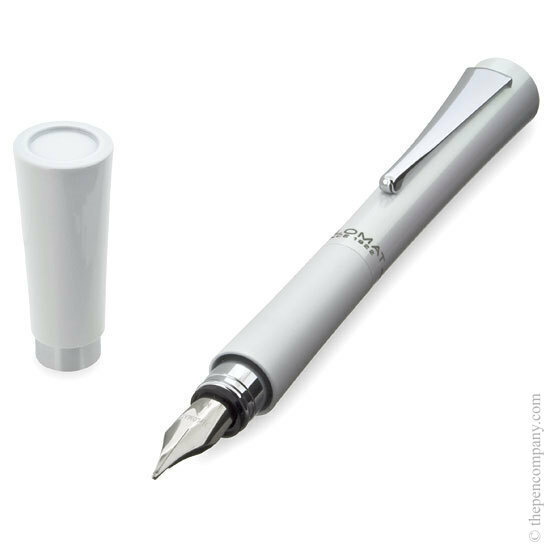 The Balance C is also available as a ball pen and a rollerball, both of which take standard refills. 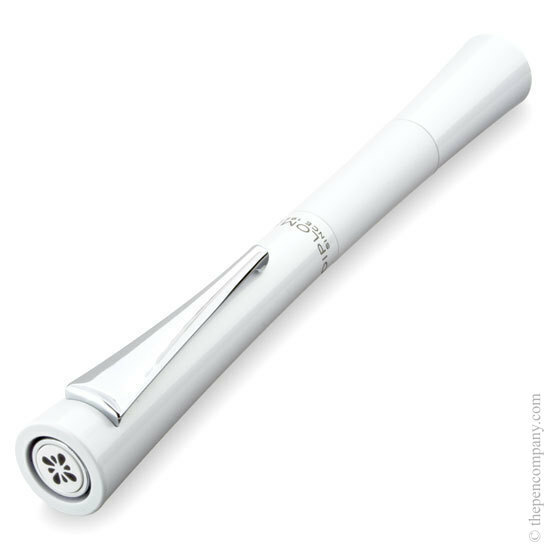 The pen splits above the grip - the barrel unscrews from the grip section. 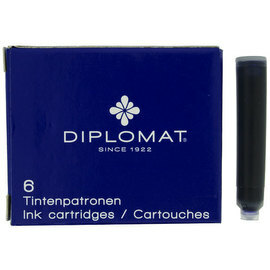 These pen take "international standard" cartridges you can use many makes including Diplomat's own and other brands such as Diamine, Faber-Castell and Caran d'Ache.